At Douglas Forest & Garden, we treat chainsaw safety as our priority. For this reason, we stick to manufacturers that we know and trust. Stihl is one of our preferred manufacturers for various garden equipment, and their chainsaws are no exception. The Irish Health and Safety Authority released this chainsaw safety guide which we strongly encourage all chainsaw users to read. It states that in the twelve year period from 1996-2008, 13 people in Ireland were killed while working with a chainsaw. The HSA estimated that chainsaws caused about 7% of all injuries in the Forestry and Agriculture sector in Ireland, resulting in roughly 100 serious injuries annually. Many people only use a chainsaw occasionally, so they often lack the awareness, knowledge, training or experience required for various situations. While the chainsaw itself can pose serious risks, it’s important to be aware that the majority of fatal accidents are actually caused by falling trees or branches. We discuss some of the dangers in our post on how to safely use a pole saw. Because chainsaws are dangerous, appropriate training is essential. We strongly advise you to wear protective clothing to help prevent serious injuries. If you don’t have protective clothing and equipment, then we advise against using a chainsaw. Here are some basic tips from the chainsaw safety guide (though it is essential that you read both your chainsaw manual and also study the full HSA guide. We also provide literature to chainsaw users — feel free to call us and request it). Most direct chainsaw injuries result from cuts to the legs, arms, neck, head and trunk. For this reason, you must wear proper clothing to protect against these injuries. Chainsaws also produce sound over 100db, putting your hearing at risk – hearing protection is also required. Most chainsaws are designed for right-handed use. For this reason, you should have your right hand on the throttle, and hold the handle with your left hand. Keep your left thumb under the handle at all times. Get familiar with where the controls. Where they are and what they’re for. This is essential in case you must stop the chainsaw quickly in an emergency. Always keep the chainsaw properly maintained. In particular, check that the air filter is clean and the chain is sharp. We provide a professional chainsaw service in our Cork centre. Before you start the engine, hold the saw still on a flat surface using your right foot on the handle — make sure the chain is clear. Hold the front handle (use your left hand). Then pull the starter cord using your right hand. If the chainsaw is not cutting, apply the chain brake. To do this, let the engine drop to idle and applying the chain broke with the back of your left hand, by rolling the hand on the front handle. Under no circumstances should a chainsaw be held above shoulder height, and having a firm balanced stand is absolutely essential. To learn more about the safety steps before using a chainsaw, please follow the above HSA link for the chainsaw safety guide. For any questions relating to chainsaw best practices, please feel free to contact us on 021-4965132. There is nothing worse than gardening around your home and your equipment won’t work properly. Everyone has been through it or something similar, you’re halfway through cutting your lawn when suddenly your lawnmower makes a strange noise and gives up. This leaves your garden looking out of sorts and worse off than when you started. We provide a garden machinery repair and servicing service to keep your garden machinery in great shape. Over the last 30 years, we have built a great reputation for providing high-quality repairs & servicing of garden machinery for customers in Cork. Our experienced technicians can perform specific repairs, tune-up equipment or provide your garden machinery with a full service so it can stay in top condition all year round. If any of your garden machinery seems to be struggling to start or having issues while in operation, we can help you identify what is wrong and sort it. Whether that is a repair or a routine service. We service and repair anything from lawn mowers, leaf blowers , strimmers/brushcutters, hedge trimmers, pole saws, Kombi engines, shredders to tillers. No matter what the make or model is, we can help you sort the problem. Some of the brands that we repair and maintain are;- Viking, Stihl, Toro, Gardencare and lots more. Assurance your equipment will operate under safe conditions for the machine and more importantly the operator. Potential issues can be dealt with before they have a chance to cause any harm. Machine wear and tear can cause lower machine efficiency. Repairing & servicing ensures optimal working conditions for the machine. Also, the lifespan of the garden machinery is conserved. You will have lower costs by sorting small issues before turning into bigger more costly problems. Machinery that is serviced regularly does not have to be “turned over” frequently which lowers your machinery costs over time. Productivity and performance are improved through repairing and servicing garden machinery. 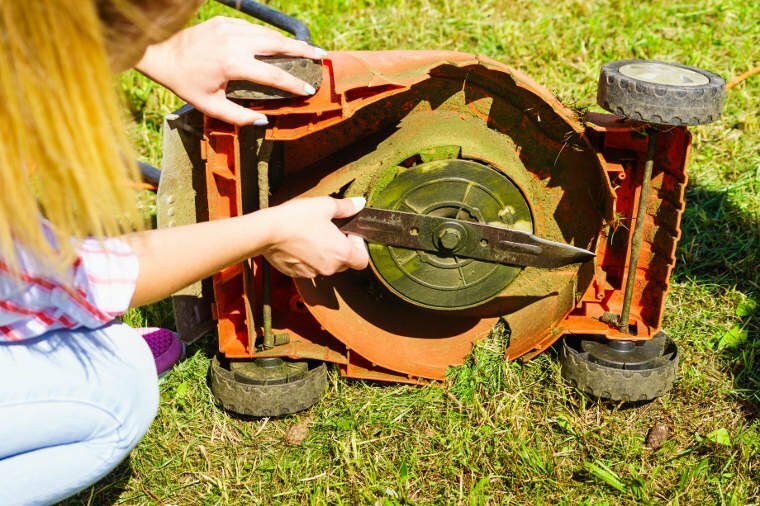 We carry out our garden machinery repairs and servicing quickly and efficiently so you can have your equipment back in full working order as fast as possible. If any of your garden machinery is giving you trouble or has stopped working, we have the solution whatever the problem. To book a repair, service or you would just like some advice, call us on 021-4965132 or visit us in store today.